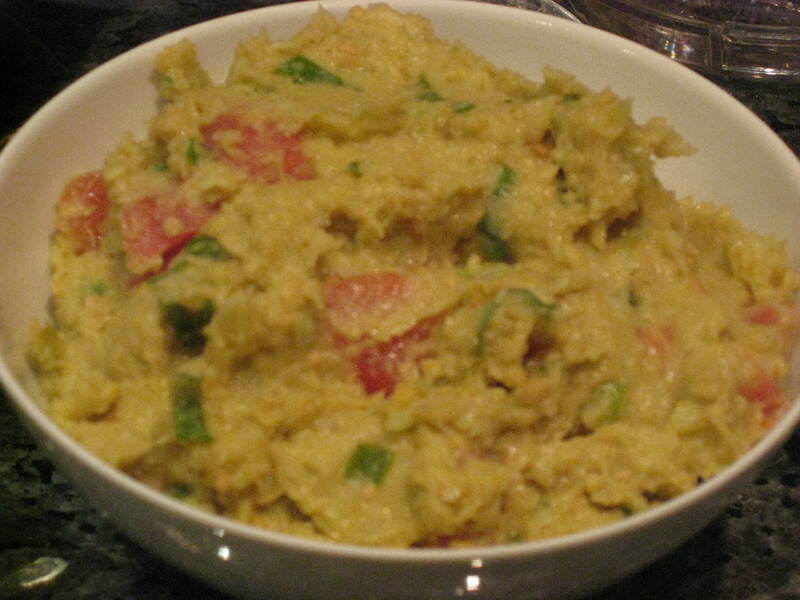 This is a lower fat mix of hummus and guacamole. Not exactly guacamole and not exactly hummus. But whatever it is, it’s deelish!! We ate this with yummy multi-grain pita chips. A most enjoyable snack or meal. 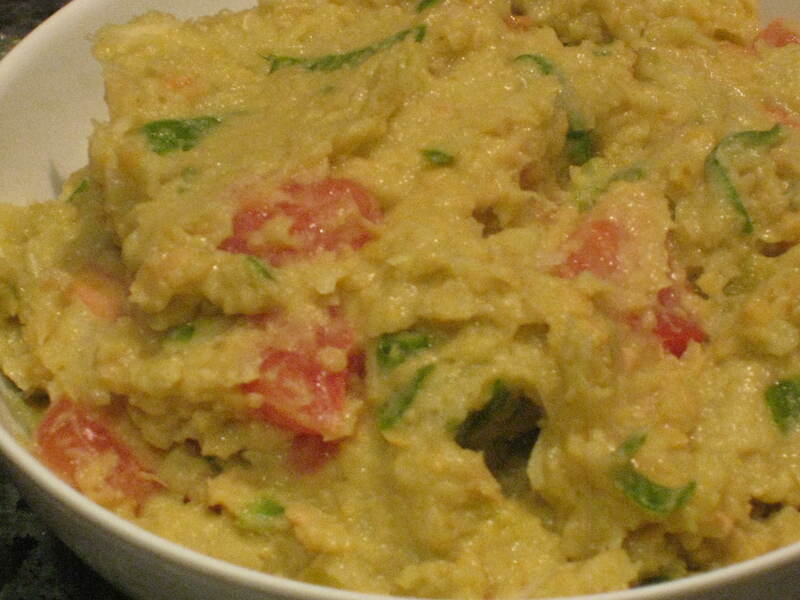 Place garbanzo beans, lemon juice and garlic in a food processor. Pulse chop until chopped but still chunky. Add onion and avocado and process again until well combined. Empty into a bowl and add tomato, green onions, and chilies. Mix well. Enjoy!! Previous Terri NYC Next Terri deliciousness! Trackback: How many avocados per week to lower cholesterol? SWOON! That is seriously mouthwatering. If there’s nothing I like more than garbanzo beans and avocado, it’s the idea of putting them TOGETHER! Love it!